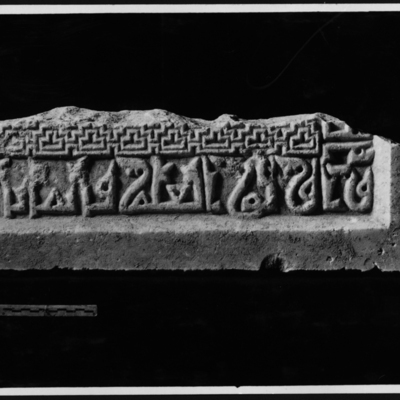 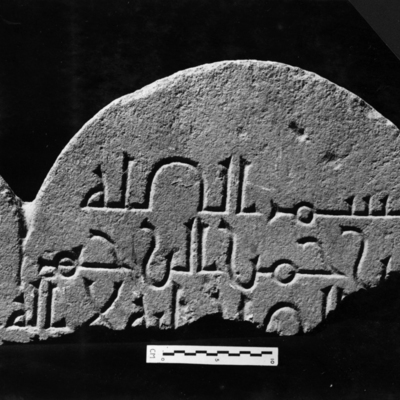 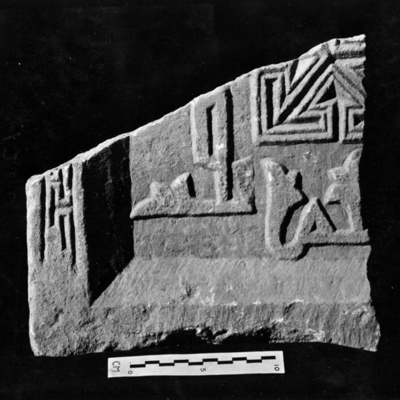 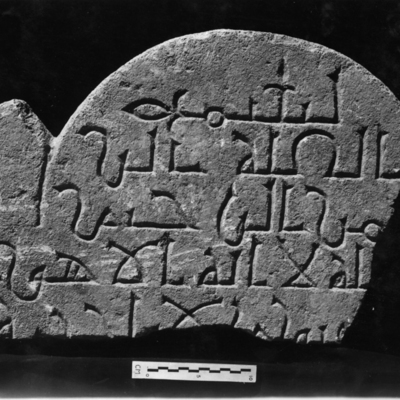 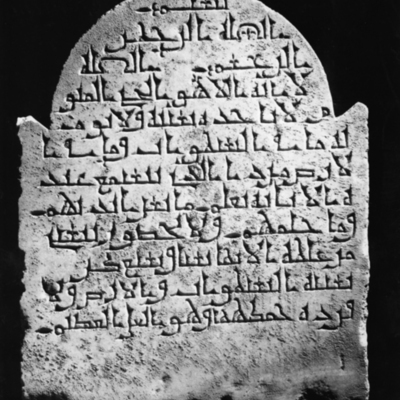 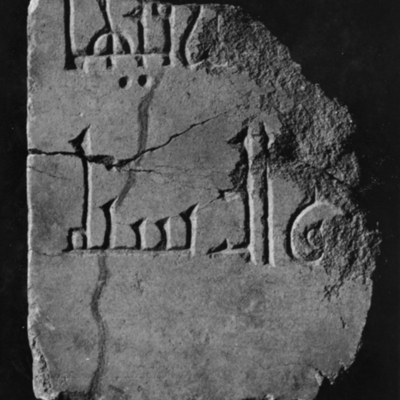 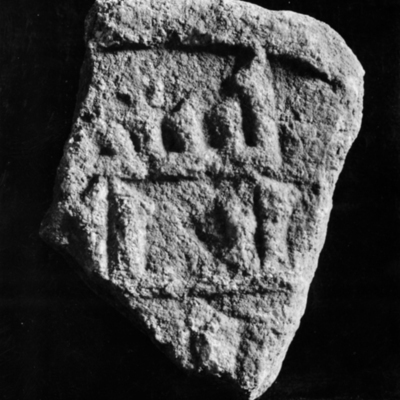 Fragment of a marble stele with Kufic inscription. 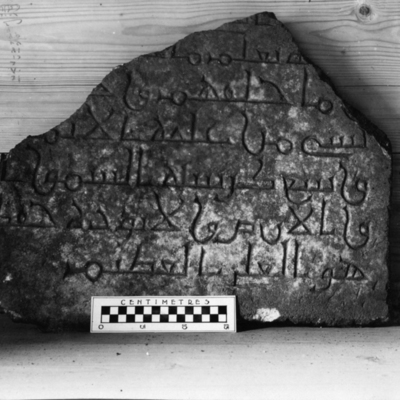 Greek epitaph. 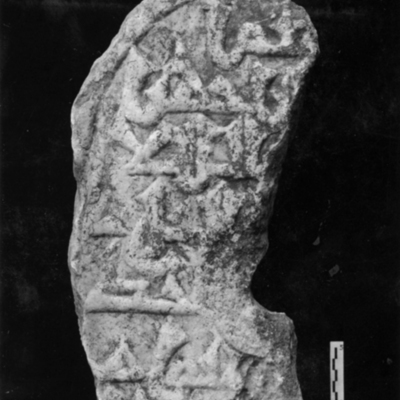 Cufic inscription on back. 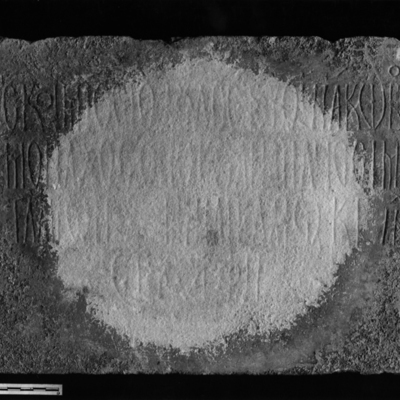 Re-used as a well cover. 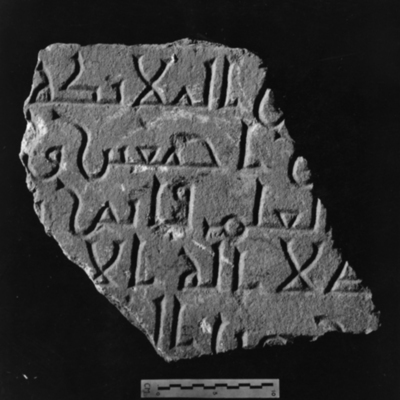 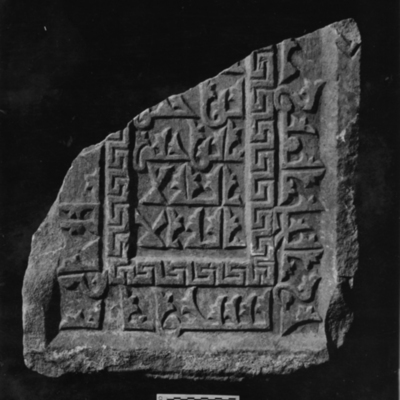 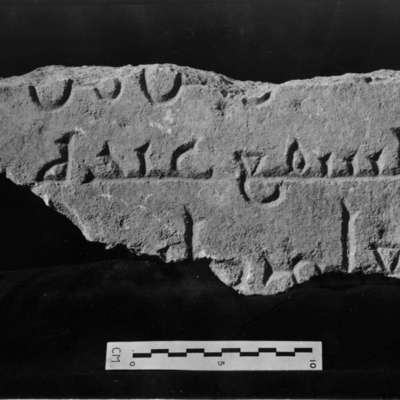 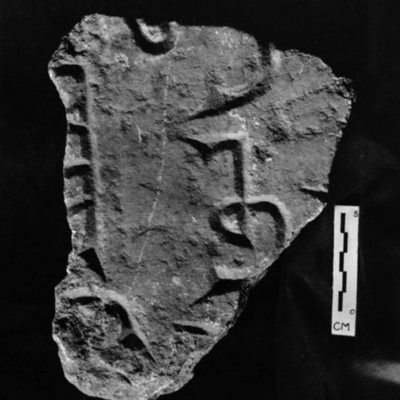 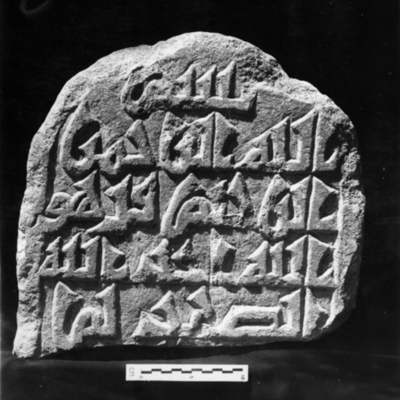 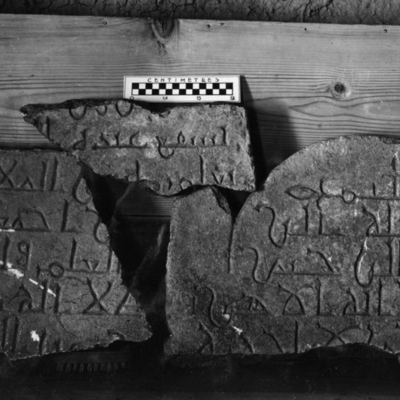 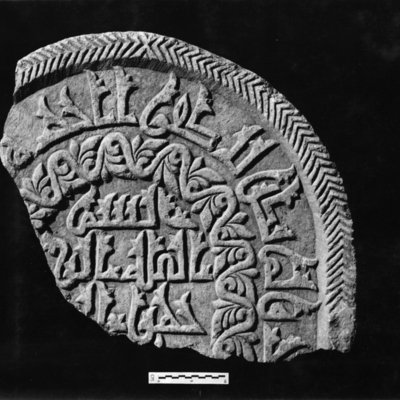 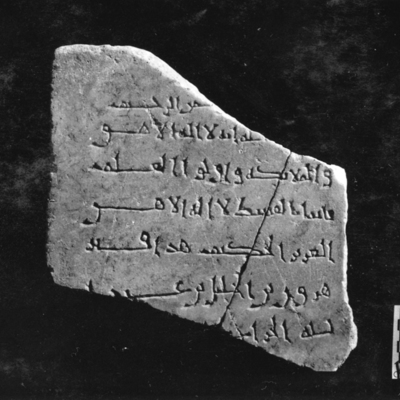 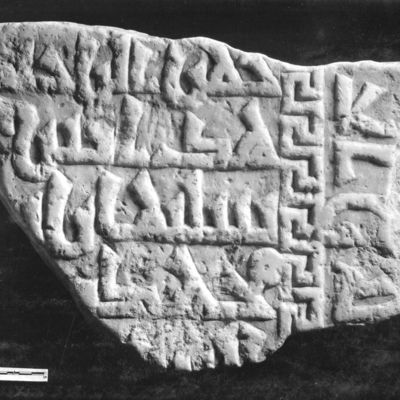 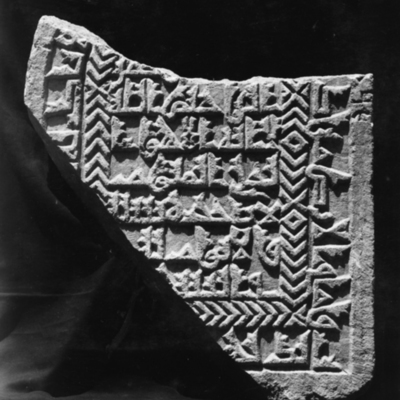 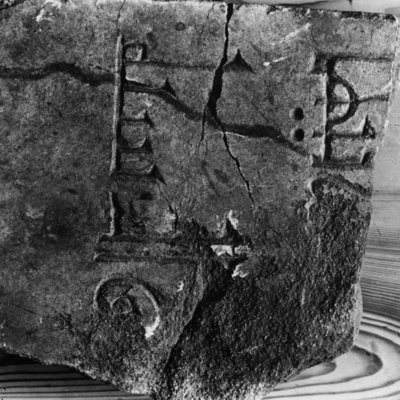 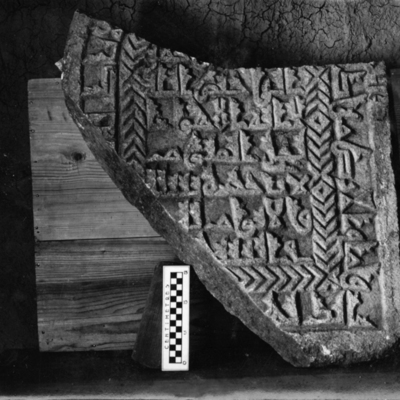 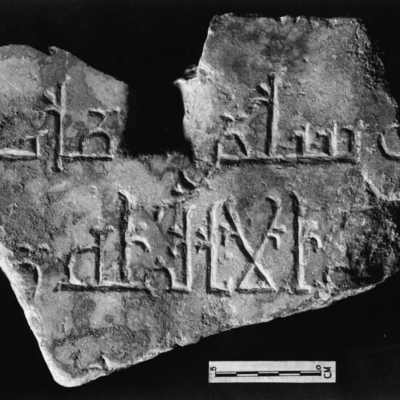 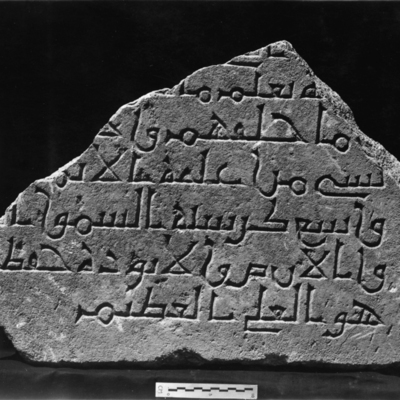 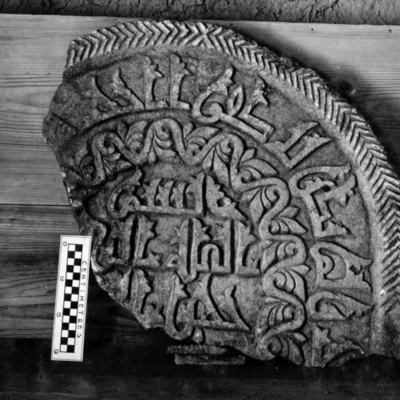 Fragment of Kufic inscription found in the dump.